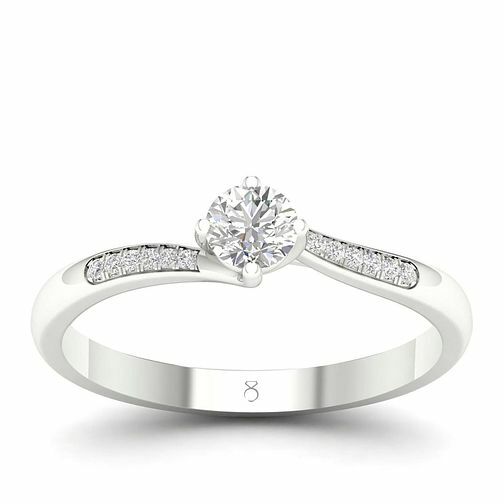 Start your engagement story with this delicate diamond delight. Crafted from a gorgeous platinum, this ring features a round cut solitaire diamond, with diamond set shoulders. Shimmering, this 0.30ct beauty is held in a four claw setting in a north-south-easy-west positioning. This ring presents a subtle twist design to compliment the shimmering stones. Celebrate your engagement with The Diamond Story. Certificated by GSI. Diamonds as unique as your own love story.